Work out in: Sukoon, Winter 2018, The Way to My Heart Anthology, 2017, Blue Fifth Review, The Moth, Ireland, Trag, a Serbian Journal, The Good Works Review, 2018 and 22 wagons by Danijela Trajković, Istok Akademia, an anthology of contemporary Anglophone poetry. Nominated for a Pushcart Prize by Blue Fifth Review. New work due out in the Red Rock Review, 2016. Website photo of Oregon’s “Painted Hills” by Kris Henning. 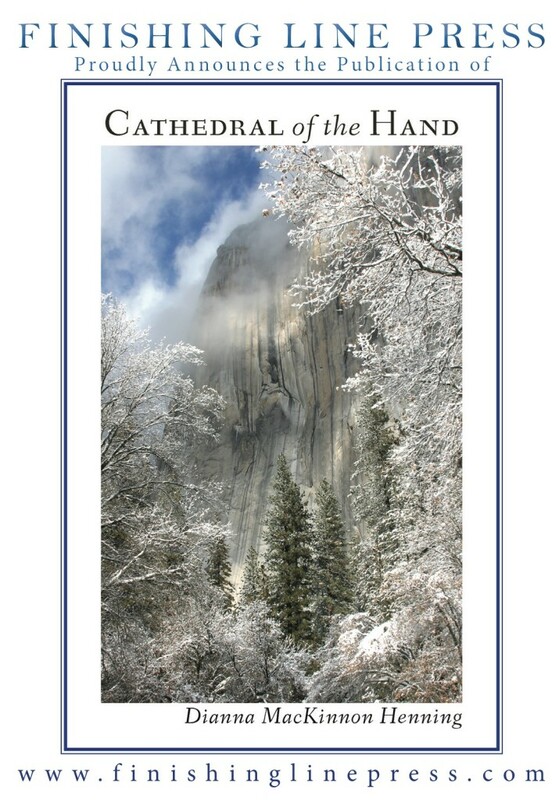 Cathedral of the Hand, a new collection of poems, Henning’s third book of poems, reveals her love of nature and her Vermont origins. These are hard won poems that have steeped long in the heart. Book cover photo by photographer Jody Wright. Here is a peek at what other writers say about the book. 2015, News for Henning’s Publications: The Kentucky Review & Lummox #4. 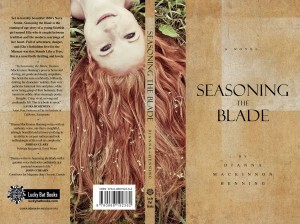 Dianna’s young adult novel Seasoning the Blade is available in Kindle through Amazon, Smashwords and Nook. Here is the Book Trailer for Seasoning the Blade. 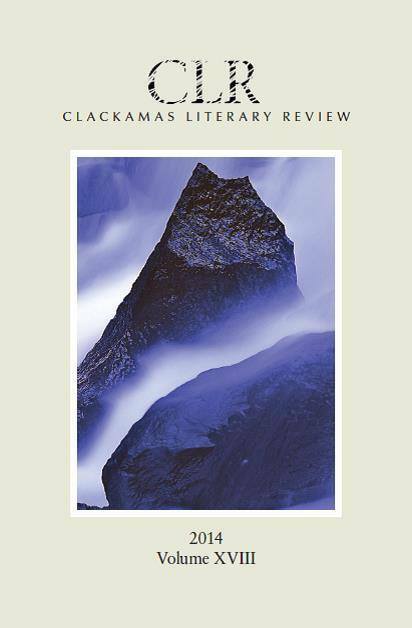 Dianna’s poem “Chairbed” published in Clackamas Literary Review. and took apart what you’d carefully made. 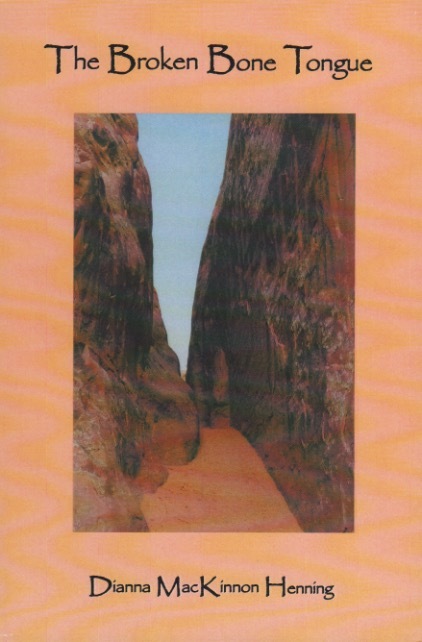 “Dianna Henning’s collection of poetry, The Broken Bone Tongue, journeys to the marrow of human emotion and experience, contemplating grief and loss, personal discovery, love and family, and the beauty and mystery of the natural world. Henning’s poignant imagery breathes life into her writing, while her honesty exposes the bare bones of the wisdom hidden within. She beckons us to step into a world that is as intimidating as it is awe-inspiring, as fragile as it is resilient. Henning’s world, as depicted in her poetry, is both melancholic and nostalgic, reminding us that the human condition is one of duality, touched by sorrow and hope. Henning starts this collection with an excerpt from Mary Oliver’s poem “In Blackwater Woods” that reflects the dual essence of our mission here on earth. “To live in this world / [we are] to love what is mortal / to hold it /. . .and, when the time comes to let it go.” Henning’s title poem follows, beginning with an awareness of duality in writing: “There were things she could say/and things she couldn’t say . . .” Although the language that begins the poem vacillates, leaving the reader to grapple with their own contradictions, the poem’s conclusion is profoundly decisive. When the writer attempts to retrieve the “things she couldn’t say,” she discovers that “only bones survived, their marrow dry.” This first section on bones and tongues concludes with “For the God of All Bones,” a poem reflective of Henning’s gift for transformation. What begins as a dog chasing a cat in the pre-dawn hours of morning becomes a boy chasing down his busted toy helicopter. Henning’s true magic is her skill of drawing the profound from the simple, transforming an innocent, childhood moment into memorable, unexpected insight. The reader becomes the boy, “breath backed up / because you never realized / how going after one thing / brought about something completely different.” One delves into Henning’s poetry expectant of a particular tone or message, only to discover that it evolves into something completely new and unforeseen, and all the more spectacular. As caterpillars metamorphose into butterflies, Henning’s poems take flight in their transformations. In “Fleshing the Tongue” the reader is told that by reading a poet’s work out loud, he becomes the poet. Thus, the poem dares the reader not only to witness the metamorphosis, but also to participate in it. This division split our spirits, and the animals cried for their people. A fracture grew among nations. At night the animals pined for us to enter their lives, but we’d forgotten the wholeness of the world, and for this the animals continue to weep. By the poem’s end, the reader is left grieving for the union human beings once had with Mother Nature and her children. The sacrifice mankind made when they segregated themselves from the world believing they were superior, cannot be denied. There have been potatoes I’ve sometimes favored more than people. Because of their faithful journey in the dark, their absolute adherence to mystery. Potatoes perceive the depth of life. Unlike human beings who measure and calculate every step, potatoes need no confirmation or direction for growth. They fare better in the dark. You cannot recall what hour he was whisked away in a kaleidoscope of sirens, the house suddenly grown so large you no longer fit comfortably inside. Didn’t even the doorbell wither to a barely audible sound, and didn’t you think it him ringing, his house key again locked in the car? The longest piece in The Broken Bone Tongue is a three-part poem of heart-wrenching transparency titled “A Journey to the Father on the Gurney.” The reader accompanies Henning as she dodges holiday revelers, a disgruntled dog, and unknowing pedestrians, to rush to her father’s bedside in his dying moments. As she nears the hospital, she recalls a time when childhood mischief was punished by her drunken father’s hand on her face, his arms weighting her down on a cold block of ice. The reader experiences Henning’s apprehension as she enters her father’s hospital room. While the nurse sees a dying man in peaceful repose, Henning sees no peace for either of them. Her father, even as he takes his last breaths, is a man still troubled by regrets of the past, and her future is still that of a bruised ice-child with a wounded spirit, condemned to a lifetime of unfulfilled hopes. The poem ends without redemption, leaving the reader to reflect on the solemn responsibilities of parenthood and the command a parent has over a child’s self-esteem and destiny, for better or worse. New publications: Wine, Cheese & Chocolate, Manzanita Writers Press; California Quarterly, Volume 40; Psychological Perspectives, volume 57; The Clackamas Review; Canary, an on-line environmental review; The Main Street Rag, volume 20 and The Kerf, College of the Redwoods. Dianna’s poem “Between Young and Old Time” published by Aesthetica in their Annual in England as a finalist–an international creative-writing anthology with over three thousand submissions. Dianna was born and raised in Vermont. She holds an MFA from Vermont College of Fine Arts. Published in, in part: The Kentucky Review, The Main Street Rag, Crazyhorse, The Lullwater Review, California Quarterly, Poetry International, Fugue, The Tule Review, The Asheville Poetry Review, Clackamas Literary Review, South Dakota Review, Hawai’i Pacific Review and The Seattle Review. Twice nominated for a Pushcart. Won fellowships to Bread Loaf and Dublin Writers’ Center. Finalist in Aesthetica’s Creative Writing Award in the UK, published in their Annual 2014. Dianna taught for California Poets in the Schools, and through the William James Association’s Prison Arts Project. She has been a recipient of several California Arts Council grants which allowed her to teach at the Stockton Youth Authority, Stockton CA and at Diamond View School in Susanville CA. Her new book “Cathedral of the Hand,” is due out through Finishing Line Press in February 2016. Dianna participated in a ’08 California Council for the Humanities Stories Grant and taught creative writing to Native Americans at the Susanville CA Rancheria—Maidu, Pit River and Paiute—developing their stories & poems which resulted in an anthology of Lassen County writers:Small Moments in Time. Dianna lives in Lassen County on six acres with her husband Kam and her malamute Sakari. She facilitates The Thompson Peak Writers’ Workshop in Lassen County.